1 Those who trust in the LORD are like Mount Zion, which cannot be shaken but endures forever. 2 As the mountains surround Jerusalem, so the LORD surrounds his people both now and forevermore. 3 The scepter of the wicked will not remain over the land allotted to the righteous, for then the righteous might use their hands to do evil. 4 Do good, O LORD, to those who are good, to those who are upright in heart. 5 But those who turn to crooked ways the LORD will banish with the evildoers. Peace be upon Israel. Psalm 125 tells us that wicked people were trying to rule Israel. The psalmist believed that God would not let this happen. God was all round or always near his people, as the mountains were all round Jerusalem. Jerusalem was on a mountain called Zion. The psalmist prays that God will not wait too long to send help. If he did, good people might start to do bad things. “We will not be moved”. This means “Nobody will move us”, or “Nobody will make us think something else”. Verse 1: “Trust in the LORD” means “believe that the LORD will give you help”. A covenant is when people agree to do something. Here, God agrees to give help to his people. They agree to love and obey him. The mountain called Zion was in the city of Jerusalem. Zion is also another name for Jerusalem. Verse 2: “All round” here means “always near”. The mountains are always near Jerusalem. Verses 3 – 4: “Righteous” and “upright in their hearts” mean the same. “Righteous” means “very, very good”. Only God is really righteous but he calls his people righteous because he is near to them. Verse 5: “At peace”, means “not at war”. How do you feel the presence of God (like the mountains)? Why do so many people fail to believe that God will help them? When something good happens, how do you know that it was God who helped you, not some statistical adoration of random events? If you have traveled to the west coast and woke up to the mountains staring at you from your hotel window, what are your thoughts when your see them? How would your thoughts be similar to those of the psalmist? The disciples of John the Baptist were upset with Jesus’ disciples because they did not fast. Fasting was one of the three most important religious duties, along with prayer and almsgiving. Jesus gave a simple explanation. There’s a time for fasting and a time for feasting (or celebrating). To walk as a disciple with Jesus is to experience a whole new joy of relationship akin to the joy of the wedding party in celebrating with the groom and bride their wedding bliss. But there also comes a time when the Lord’s disciples must bear the cross of affliction and purification. For the disciple there is both a time for rejoicing in the Lord’s presence and celebrating his goodness and a time for seeking the Lord with humility and fasting and for mourning over sin. Jesus goes on to warn his disciples about the problem of the “closed mind” that refuses to learn new things. Jesus used an image familiar to his audience — new and old wineskins. In Jesus’ times, wine was stored in wineskins, not bottles. New wine poured into skins was still fermenting. The gases exerted gave pressure. New wine skins were elastic enough to take the pressure, but old wine skins easily burst because they were hard. Just as there is a right place and a right time for fasting and for feasting, so there is a right place for the old as well as the new. Jesus says the kingdom of heaven is like a householder who brings out of his treasure what is new and what is old (Matthew 13:52). How impoverished we would be if we only had the Old Testament or the New Testament, rather than both. The Lord gives us wisdom so we can make the best use of both the old and the new. He doesn’t want us to hold rigidly to the past and to be resistant to the new work of his Holy Spirit in our lives. He wants our minds and hearts to be like new wine skins — open and ready to receive the new wine of the Holy Spirit. 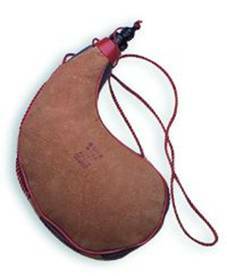 What do you think this adds to our knowledge of life when we read about the lesson of the wineskins? If fermenting wine creates pressure, what are today’s pressures upon the modern Christian? How would you discuss the idea that old and new do not mix well to that of a modern day Christian church? As a congregation, what messages should we be taking away from this Scripture as to how we are to support our church and interact with our congregation? What are the modern day old wineskins and new wineskins that the people of our time must deal with? Are you an old or new wineskin? Do you prefer to be one or the other? Is one better than the other? When is it better to be an old reliable wineskin and when is it better to be a new flexible wineskin?